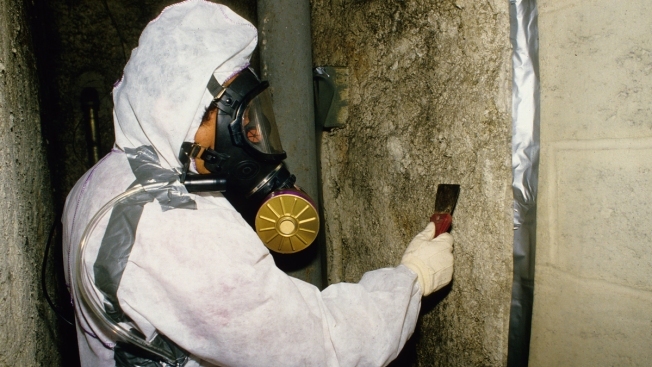 In this April 1, 1995, file photo, a technician removes asbestos from an apartment building in New York City. The EPA recently made a proposal that could allow for new uses of the toxic chemical in manufacturing. Decades-old research has identified asbestos as a dangerous carcinogen, but the Environmental Protection Agency is now proposing a framework that could allow new uses for the toxic chemical in manufacturing, NBC News reported. The proposal, known as a "significant new use rule," was released in June. It details how companies can find new ways to use asbestos that will be evaluated on a case-by-case basis. Some of the products that could now involve it include adhesives, sealants and pipeline wraps. Asbestos-related disease advocacy groups have come out as strongly critical of the proposal, arguing that use of the chemical is undeniably dangerous. The EPA said the new rule "would prohibit companies from manufacturing, importing, or processing for these new uses of asbestos unless they receive approval from the EPA." Strict regulations on asbestos have been imposed in the United States, rather than a ban — a move made by dozens of other developed nations. The chemical was used in construction until the 1970s, when research linked it to lung cancer and mesothelioma, among other diseases.